I recently had the good fortune to travel to the African country of Zambia. While most of our trip was spent in remote corners of the country, far from any tourist spots, there was still plenty of good food to be found. The greater portion of our trip was in rural villages of the Northern Province. The locals refer to these areas as “The Bush”. While in these villages, we were treated with extraordinarily warm hospitality and plenty of good, home cooked meals. One village even went out of their way to serve us some of the home brewed corn beer. 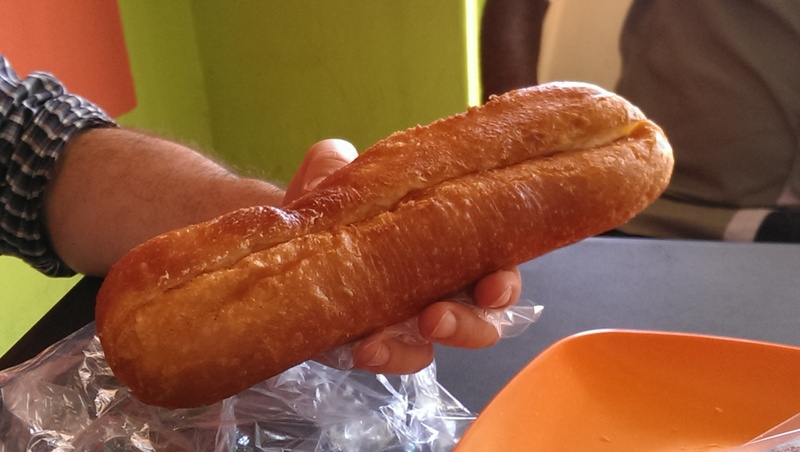 The main staple of Zambian cuisine is nshima, a doughy bread made from ground corn boiled in water. It is the backbone of every meal. 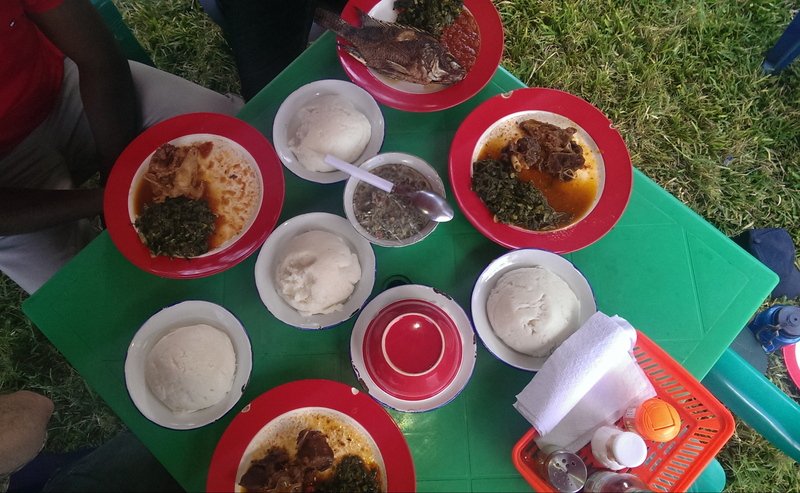 As our host said, you have not had a meal in Zambia if you have not had nshima. Served with nshima is a meat, bitter greens, and a dipping sauce. The meat is usually fish –either dried or fresh — or chicken. In the markets around town dried fish was everywhere. It was incredible: rows upon rows of dried fish. It seems like fish is a staple of the diet almost as much as nshima is. 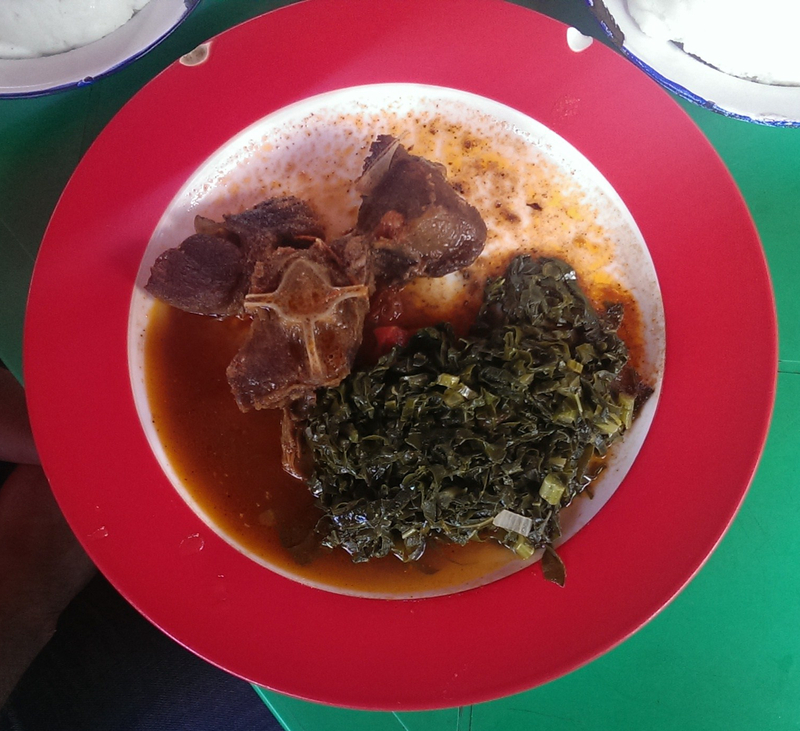 During our time in Zambia, we were served several different kinds of bitter greens. The most memorable was pumpkin leaves. But we also had greens of local varieties that do not have English words for them. They are a great compliment to the meal. Breakfast was very simple, consisting of either white sweet potatoes (known in America as yams) or boiled groundnuts, which I think is a variety of peanuts. There is a dish that combines the two, potatoes in a ground nut sauce. That was my favorite Zambian food. When we weren’t travelling the country side, we stayed in the city of Kasama. Kasama is the capital of the Northern Province and is home to good hotels and good restaurants. Our hosts in the country graciously offered us meals at their homes. We were treated to a variety of Zambian dishes, each one delicious. They even served us ifinkubala, a dish made by sautéing caterpillars. It is a Zambian speciality, and I am greatful we had the opportunity to have some. The hotel we stayed at was the Thorntree Guest House. Run by a delightful British couple, it was a joy to stay there. The meals they serve are top notch. Besides the usual assortment of Zambian dishes, they also have steak and a fantastic chicken curry dish, which was our favorite. For breakfast, they normally served toast and coffee. But, of course, the full English breakfast was an option. The coffee is made from beans grown and roasted by themselves, fertilized with droppings from chickens their son raises. I am not a big coffee drinker, but this coffee is fantasitc! You cannot get coffee fresher than this. For lunch, they have sandwiches, with a choice of tuna fish or grilled cheese. Both are delicious. The Thorntree is not the only hotel in town. 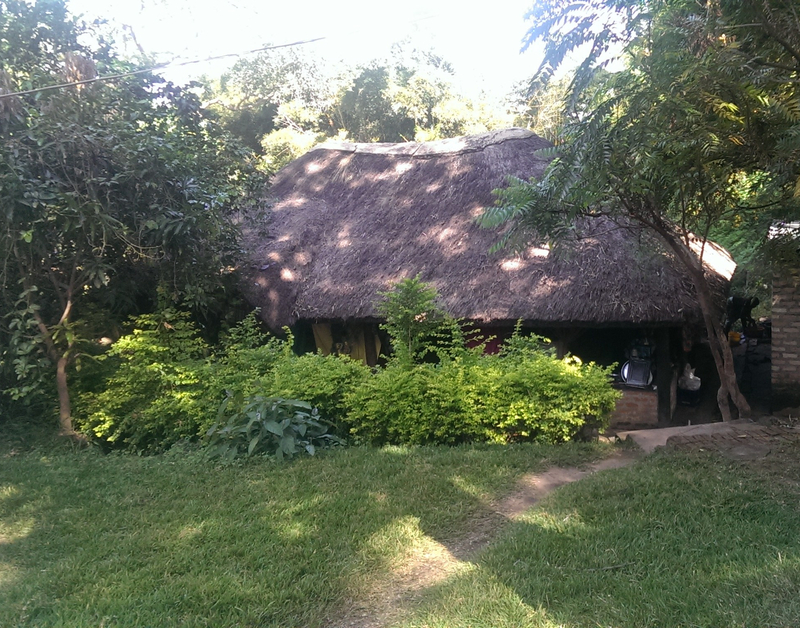 Looking for a good local restaurant to try, the Kizya Executive Lodge was high on the list. Catering to Chinese business travellers (who are building lots of infrastructure in the country), this is a high end hotel. Probably the best in Kasama. The good here was great, although the ambiance of the restaurant was a bit sterile. There are other places to eat in Kasama besides hotel restaurants. One that came highly recommended was Matebeta (I believe this translates to something, but I don’t recall what it was). The restaurant is located right next to the Heritage Center. The Heritage Center is an interesting place. It is a museum located in the house that was the residence of the governor of the province in colonial times. Matebeto’s reputation is well earned. They served plenty of Zambian cuisine, all quite good. It also has the distinction of being the only place we went to that served goat. making our trip complete. In addition to restaurants, Kasama boasts several bakeries. 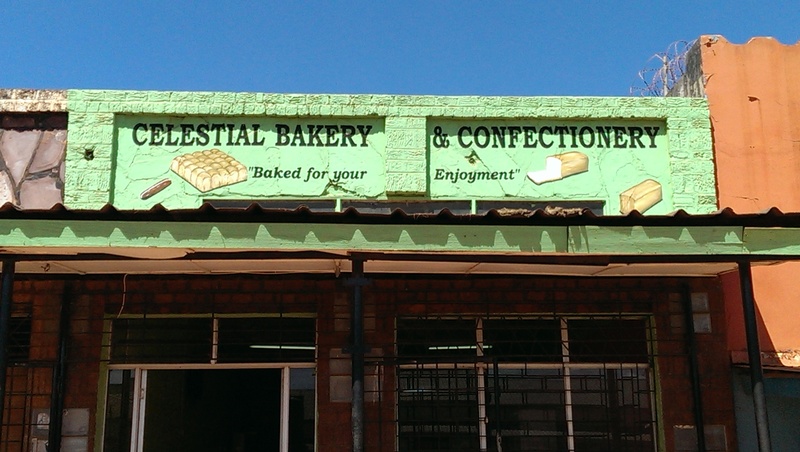 The one we went to is called Celestial Bakery and Confectionery. They sell all manner of baked good, although loafs of bread seemed to be their best seller. 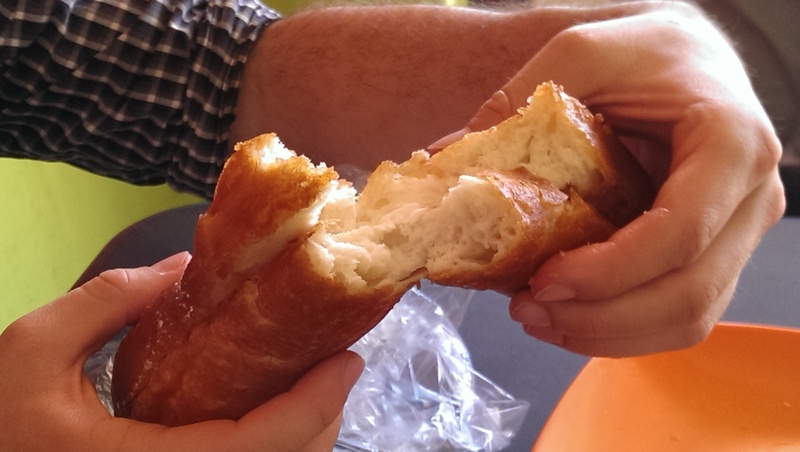 We had a tasty stuffed pastry, somewhat reminiscent of an éclair. While we spent most of our time in Kasama and the surrounding countryside, we did fly in and out of the capital, Lusaka. There we ate a a surprisingly good Indian restaurant with the unassuming name of Bombay Lounge. They have a couple of different locations ; we went to the on in the Garden City Shopping Center. They have outstanding food. Their speciality is clay pot dishes, kept warm at the table over an open flame. A variety of Indian dishes are available on the menu, many of which I have not seen in the States. We ordered a diverse set and enjoyed them all.